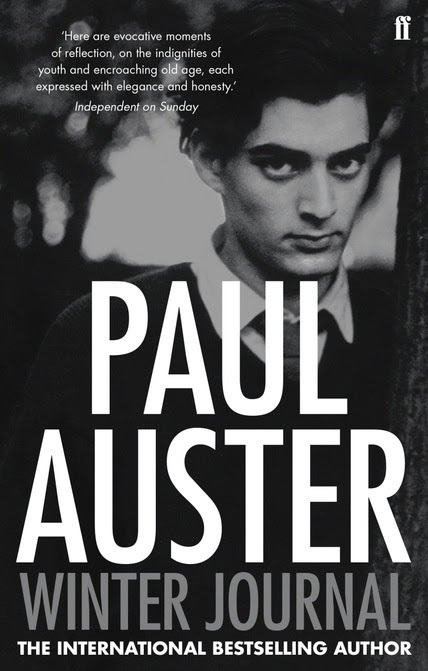 Not too long ago, I harbored a fixation for Paul Auster in the same way that I now have one for Kurt Vonnegut. I read his every book, at least those that were available without too much of a fuss, and enjoyed almost each and every one. Then I read Travels in the Scriptorium, a book so pointless and boring that completely I lost faith. Of course, it has been several years since, and I decided to give The Winter Journal a go. My first thoughts, during the first chapter, were of renewed dissapointment. The Winter Journal is an autobiographical novel that seems to be a collection of bits and pieces from Auster’s life. Auster talks about his body as a 64 year old man, then he talks about that one time his friend died from a lightning strike. For at least half of the novel, there is no driving force behind the narrative, just a bunch of cookie crums and leftovers. I felt that every time a truly interesting turn appeared, Auster cut it short and moved on to something far less enticing. I mean, how long should a list of the author’s favorite foods go on? Is five pages enough? The reason I didn’t just dump this one in the nearest waste basket is that there are flashes of brilliance among the mountains of mediocrity. Auster’s record of all the houses he has lived in is remarkable and engaging, on par with his best fiction. Luckily, it takes up almost a third of the book. Also, his prose keeps on getting better over the years. The way that Auster addresses himself as “you” instead of “I” gives surprising depth to some passages. It is an altogether fascinating effect. It has always been difficult for me to explain what it is exactly that I enjoy about Auster’s work. I heard that his novels have a divisive effect on people, some love him and others don’t. On my side of that line, I see a humanity and humility in his novels that is atypical for almost anyone else. They feel real in the way that a walk in the woods feels real. And just as with a walk in the woods, some people crave the familiar to arrange their own thoughts. In a way, Auster does exactly that. He speaks of “you” instead of “I”.